Espressione della Società di Medicina e Scienze Naturali di Parma e Centro sull’Organizzazione, la Qualità e la Sostenibilità del Sistema Sanitario, Parma. Acta Bio Medica è oggi una delle poche Riviste generaliste italiane che hanno ottenuto la pubblicazione sulle principali banche dati internazionali. Diviso in sezioni sulla ricerca, sugli studi di casi e sulla monografia aggiornata, è uno strumento di formazione per un ampio spettro vicino ai più recenti progressi della scienza medica moderna. Expression of the Society of Medicine and Natural Sciences of Parma and Centre on Health System’s Organization, Quality and Sustainability, Parma. 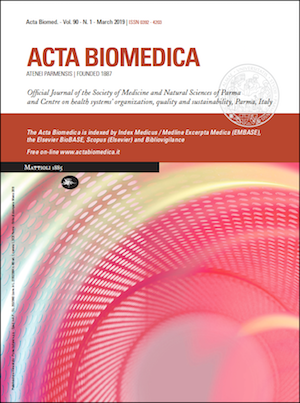 Acta Bio Medica is now one of the few Italian generals reviewed publications on major international databases. Divided into sections on research, case studies and updated monograph, is a training tool for broad spectrum close to the most recent advances of modern medical science. 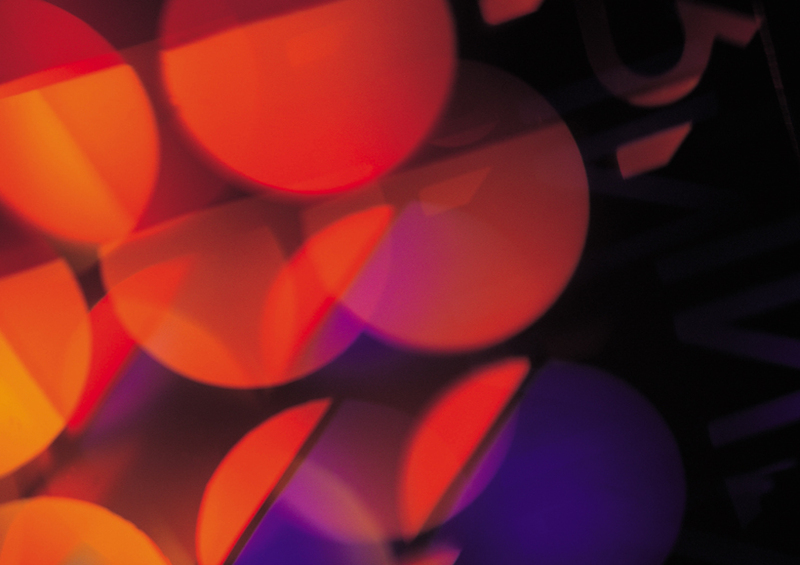 Take access now to the Author Guidelines to submit items online. The Editorial Office will forward the text to the Editor-in-Chief, Prof. Maurizio Vanelli (University of Parma). The Journal does not hold itself responsible for statements made by contributors or for loss or damage of mailed manuscripts.They should be accompanied by an undertaking that they are submitted to this Journal only. Papers must be submitted in English. Papers are accepted on the understanding that they may be subject to editorial revision. All Original Articles are subject to review and authors are urged to be brief. Long papers with many tables and figures may require shortening if they are to be accepted for publication. All manuscripts should include a total text word count and an abstract word count on the cover page. Total text word count does not include title page, figure legends, references, or tables. Only under exceptional circumstances will Original Articles longer than 5500 words be considered, and under no circumstances will abstracts greater than 250 words be published. Editorials and Reviews are normally invited contributions but suitable papers may be submitted to the Editor for consideration for this purpose. Editorial comments are a brief remark on an article published in the journal by the reviewer of the article or by a relevant authority. Most comments are invited by the Editor-in-Chief but spontaneous comments are welcome. It must not exceed 800 words (excluding references). An abstract is not required with this type of manuscripts. It can have no more than 10 references and 1 figure or table. The presentation of Case Reports should be as short as possible. Reports of co-existence of two diseases or conditions without proof of causal relationship are discouraged. Letters to the Editor should not exceed 600 words of text, one figure or table and up to six references. Because space limitation, publication of submitted Letters will depend on priority rating. a running title of no more than 40 characters. Be certain to list the FAX number and E-mail of the corresponding author on the title page. All the correspondence will be e-mail-only or website-only. MANUSCRIPT: manuscripts should be typed in 12-point type and double spacing should be used throughout. It should carry an abstract of not more than 250 words including 4 paragraphs labeled: Background and aim of the work, Methods, Results, and Conclusions. Below the abstract provide 3-10 key words that will assist indexers in cross-indexing the article. Paragraphs to be set in a smaller type should be marked with an “s” (small) in the left hand margin. Avoid footnotes; when essential they are numbered consecutively and typed at the foot of the appropriate page. ILLUSTRATIONS: It is the authors’ responsibility to obtain permission (from the author and copyright holder) to reproduce illustrations, tables, etc. from other publications. 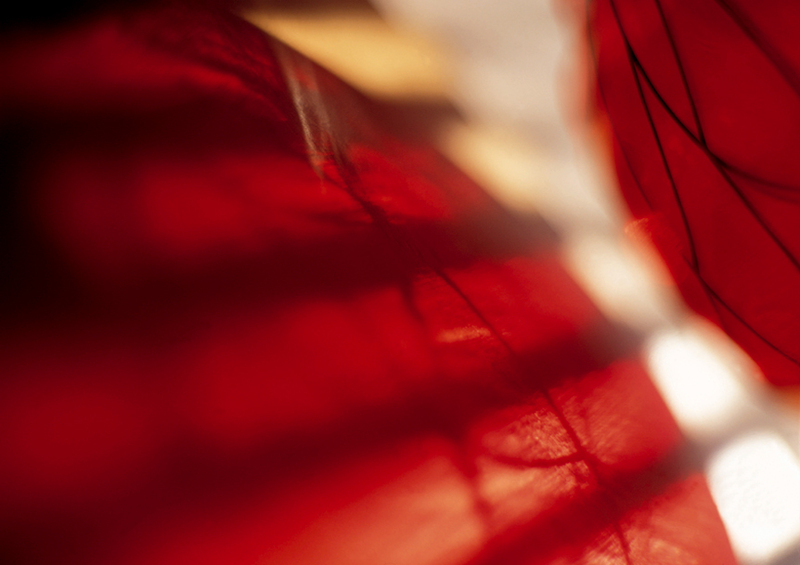 Photographs and graphics should be sent as high resolution files: not less than 300 d.p.i. and with a base of the same size as a column of the Journal (8 cm). A letter of permission must accompany all photographs when there is a possibility of identification. Authors will pay for colour illustrations. Present rate for a full page colour illustration is about $ 600-1200. Final quotation will be given by the publisher. Legends should be typed on a separate “word”document. TABLES: tables should be numbered consecutively with Arabic numerals.Type each table on a separate document, together with a brief caption.We do not welcome large tables of unanalysed data. 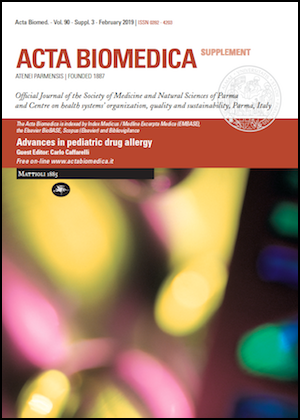 COPYRIGHT: Please include a signed release of copyright to ACTA BIO MEDICA SOCIETY OF MEDICINE AND NATURAL SCIENCES OF PARMA with your text. Include the title of the article being submitted, as well as the date. Include the signature of coauthors. CONFLICT OF INTEREST: The corresponding author, also on behalf of all the other authors, should declare the existence or otherwise of financial connections (consultancies, ownership of shares, patents, etc.) that might constitute a potential conflict of interest in relation to the subject matter of the article. In the case of existence of any such financial connections, the authors concerned must declare them in a brief but complete definition at the end of the article, before the references. If no conflict of interest exists type: “Each author declares that he or she has no commercial associations (e.g. consultancies, stock ownership, equity interest, patent/licensing arrangement etc.) that might pose a conflict of interest in connection with the submitted article“. GALLEY PROOF: Unless indicated otherwise, galley proofs are sent to the first author and should be returned without delay. Alterations to galley proofs, other than those due to printer’s error, are charged to the author. Accepted and rejected manuscripts are retained for six months after publication or rejection, then destroyed. REPRINTS: Reprints are available if requested. Order form and a price list will be send if requested. “The Authors confirm that neither the manuscript nor any part of it has been published or is under consideration for publication elsewhere. The same Authors assign all rights, including but no limiteded to the copyright, for the present manuscript to Acta Biomedica upon its acceptance for publication. 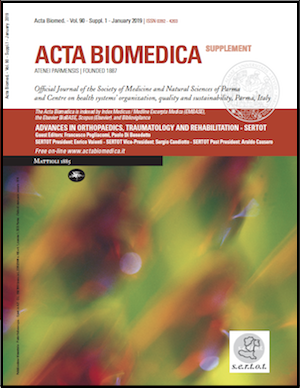 When the manuscript is accepted, the Editorial office of Acta Biomedica inform about the Author reported in the manuscript . 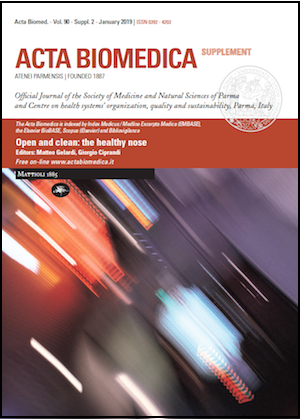 If no reply will be received, Acta Biomedica Editorial office will apply the rule “no response means implied consent” and it will proceed with the publication”. 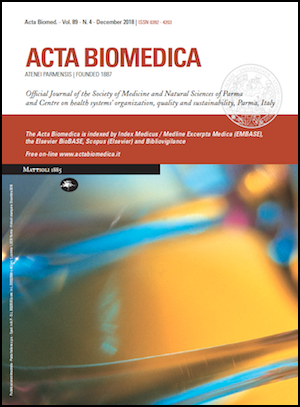 ACTA BIO MEDICA SOCIETY OF MEDICINE AND NATURAL SCIENCES OF PARMA. All rights reserved. 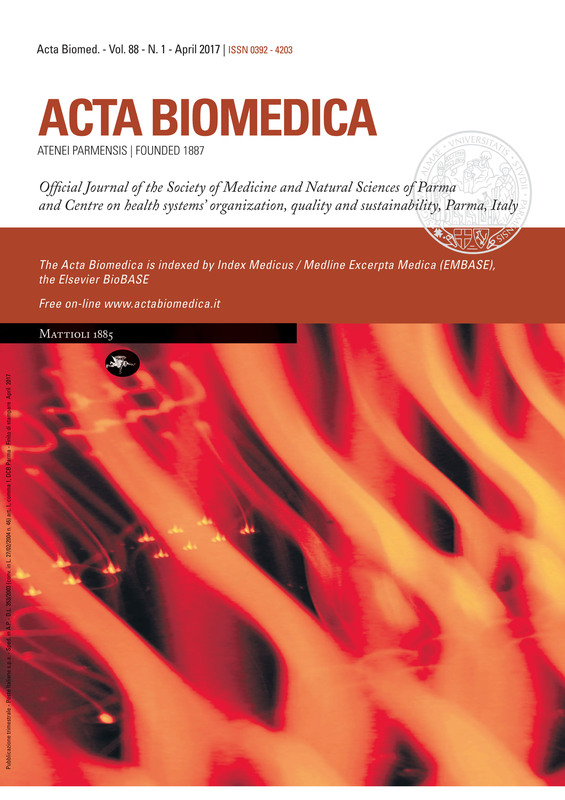 Accepted papers become the permanent property of ACTA BIO MEDICA SOCIETY OF MEDICINE AND NATURAL SCIENCES OF PARMA and no part may be reproduced, stored in a retrieval system or transmitted in any form or by any means without the prior permission of both the author and the publisher. Make sure that no author information is present in the manuscript file, since we are using double-blind peer review. Please, you should upload 2 files: “the title page” file and the manuscript file. The “title page” file must contain title, author information, abstract and key-words; this file will not be included in the review process. Papers must follow the instruction to Authors. Please, see Author Guidelines. The corresponding author, also on behalf of all the other authors, should declare the existence or otherwise of financial connections (consultancies, ownership of shares, patents, etc.) that might constitute a potential conflict of interest in relation to the subject matter of the article. In the case of existence of any such financial connections, the authors concerned must declare them in a brief but complete definition at the end of the article, before the references. If no conflict of interest exists type: “Each author declares that he or she has no commercial associations (e.g. consultancies, stock ownership, equity interest, patent/licensing arrangement etc.) that might pose a conflict of interest in connection with the submitted article”. Authors will be expected to have obtained ethics committee approval and informed patient consent for any experimental use of a novel procedure or tool where a clear clinical advantage based on clinical need was not apparent before treatment. – Revised manuscript file with changes highlighted or in red colour. In Word you can use Track Changes, then Highlight Changes or simply Underline your changes or use the red colour. Use a short file name, such as revised (the file extension should be added automatically), for your new manuscript file. – File containing response to reviewers. 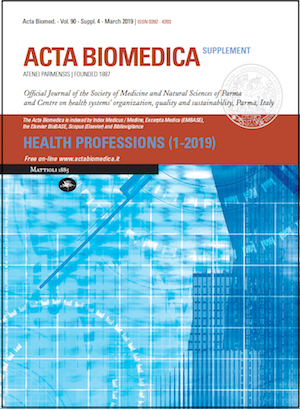 If you want to submit the article for Health Professions Supplement, please, choose the Section: “Supplement Health Professions” or “Health Professions” in the first step of the submission.